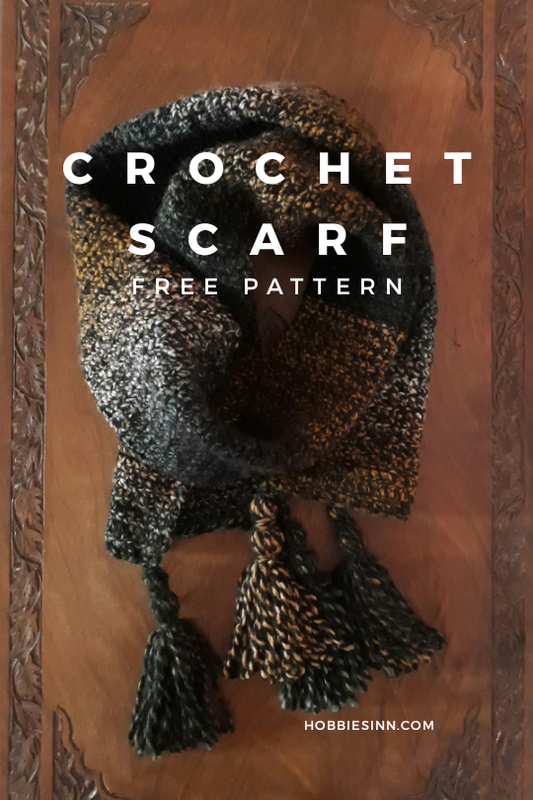 Crochet Scarf - Free Pattern. Hi there my lovely friends! I'm so excited to show you all my Gradient yarn scarf. This one took quiet some time to complete not because it is complicated or anything (Its basically a beginner pattern) but because I would crochet few rows and leave it and then come back to it some other time. 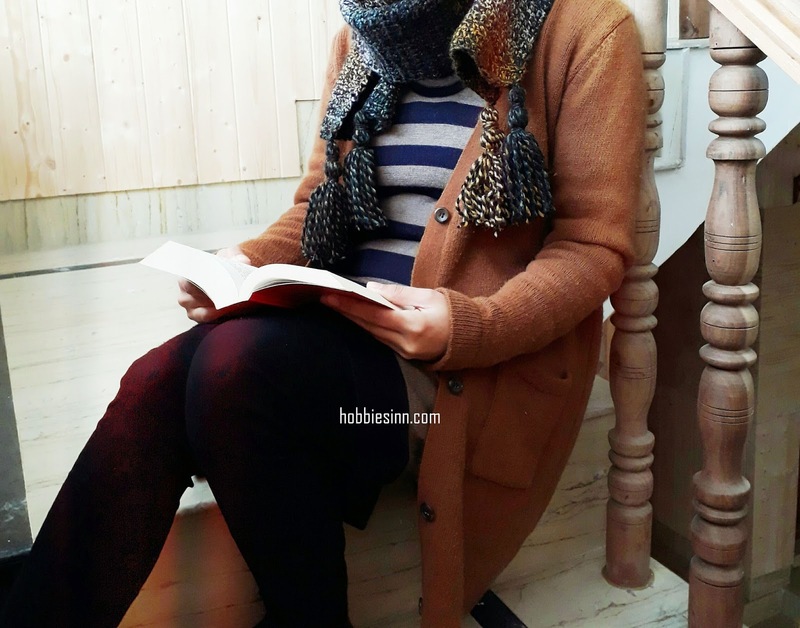 I noticed that I hadn't made any scarves or mufflers as a tutorial on my blog so I decided to do one. I chose a Zebra Gradient Yarn from local yarn store. It is manufactured by GANGA acrowools. Check out their website for more yarns and free patterns. I chose their Zebra 1322 shade for this project. It is 100% acrylic wool and each ball is approx 217 meters (or 150 Grams) when packed. It is a bulky yarn! The best thing about this yarn is that it looks good on both men and women. For this specific project I used a little less than 2 balls of this yarn as my scarf is approx 5.3 foot in length(without the tassels). The more the length of the scarf, the more yarn will be required. But I suppose 2 balls are enough to make a nice and long scarf. Did I enjoy making it? Yes, I did. I loved how the gradients came to life. Follow this pattern and make one for your self too. Hook size: 9G / 3.50 mm aluminium hook. 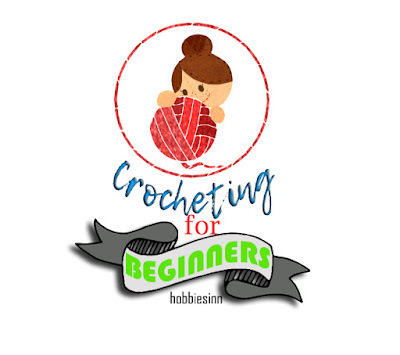 If you are new to crocheting or don't know how to please visit Crocheting for beginners to get the basics covered. 2. Leave the first two stitches and make a row or double crochet stitches. (Stitch count 28). 3. Round 2 - 3: Double crochet in each stitch. 4. Round 4 - 227: Single crochet in each stitch. 5. Round 228 - 230: Double crochet in each stitch. 6. Weave off any loose ends. 7. I made 4 large and heavy tassels to hang at four ends of the scarf. 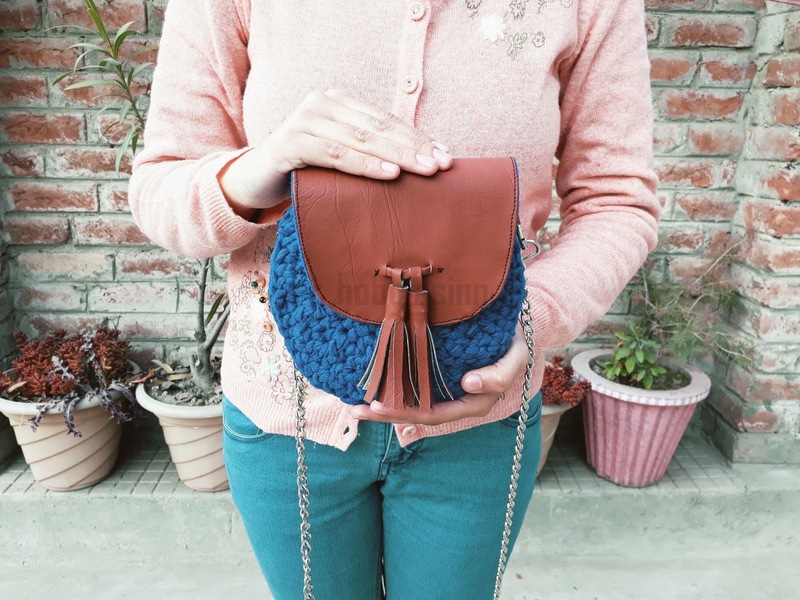 You can follow the tassel tutorial here and make them chunky tassels all by yourself. It took me longest to get this photographed but as usual my sister came to my rescue and together we were able to capture it perfectly. 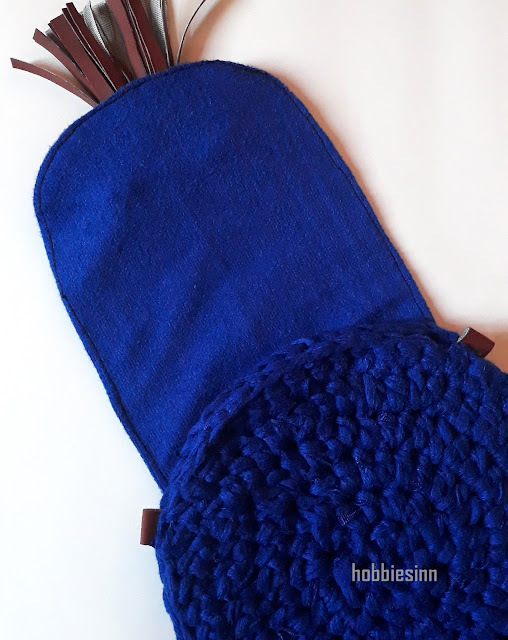 The project is easy to follow and the end product is fabulously warm. 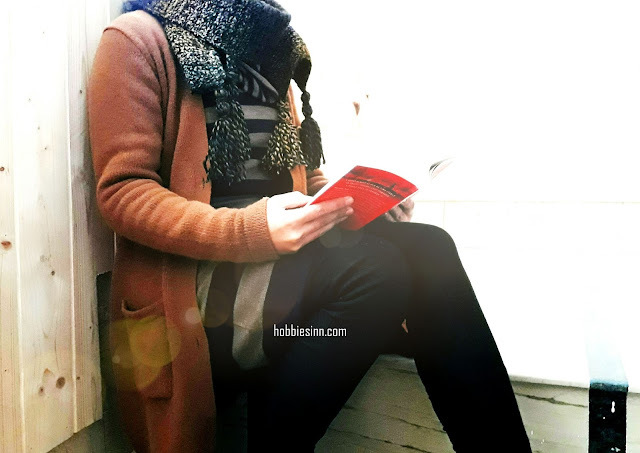 I hope you enjoyed reading this post and about my unisex crochet scarf. If you happen to make one, do share your pictures with us. P.S. Subscribe to our mailing list and don't forget to pin it. 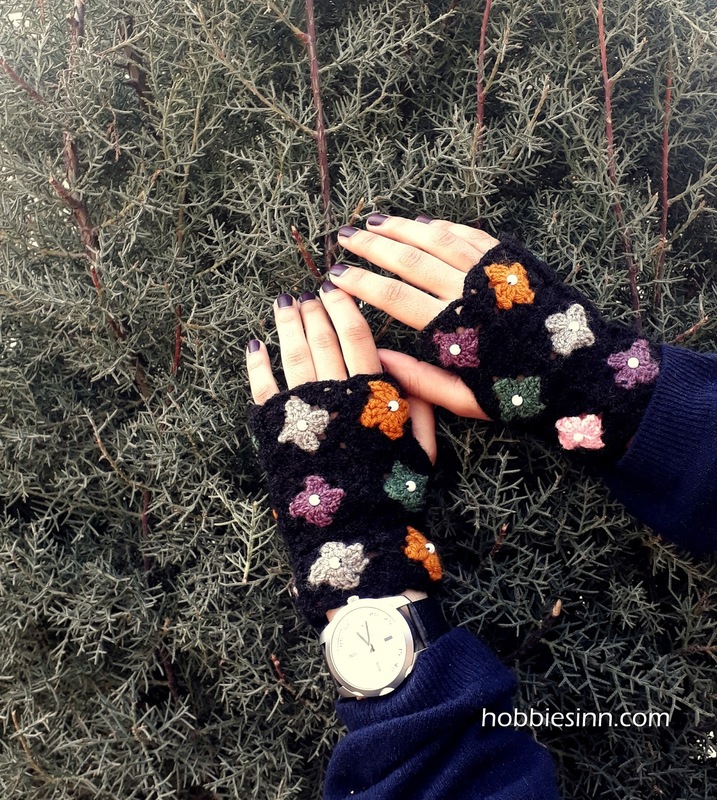 Note: This pattern is original pattern by Hobbiesinn. Please do not claim this pattern as yours. 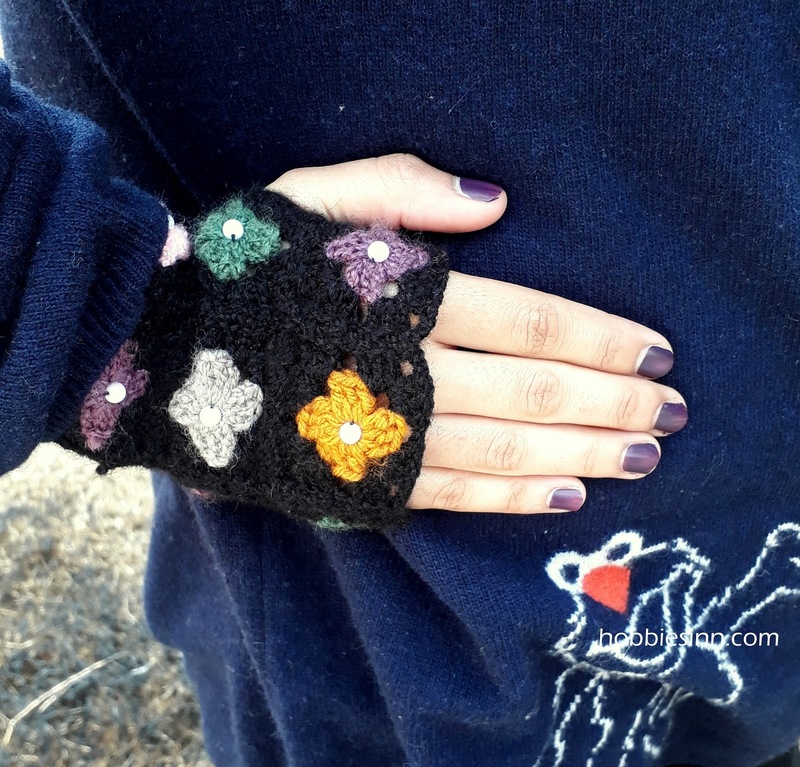 If you wish to share it, you may link to this pattern but please do not copy on your site. You can use it for personal use but DO NOT sell the pattern/pictures or distribute it. You can however, sell the products of this design but do credit the design to me @hobbiesinn. Permission is NOT granted for mass production or factory manufacturing of any kind. Thank you for being respectful and for your understanding! Hi guys, lately I have been working on this little sling bag and today I'm going to share the tutorial with you all. It is far more easy than you think it is. 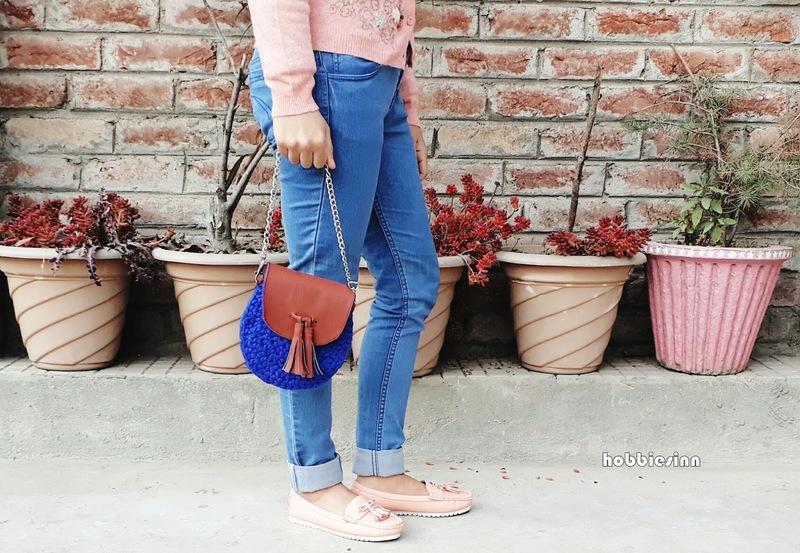 It is a beginner level and looks quiet trendy with those cute outfits. It is large enough to hold all of your cards and money, maybe a small card holder and your phone too. 2. Faux leather or Rexene. 3. Tapestry needle and thread. 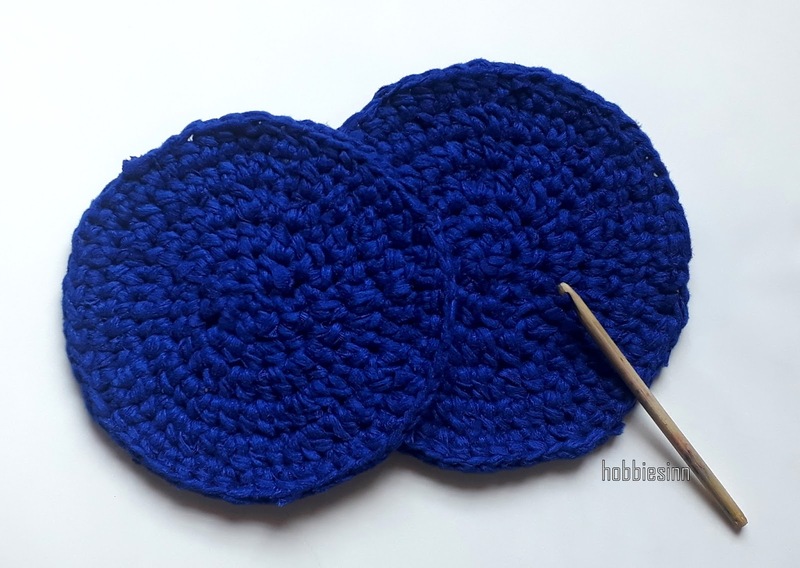 First of all we need to make two flat circles using half double crochet stitch. 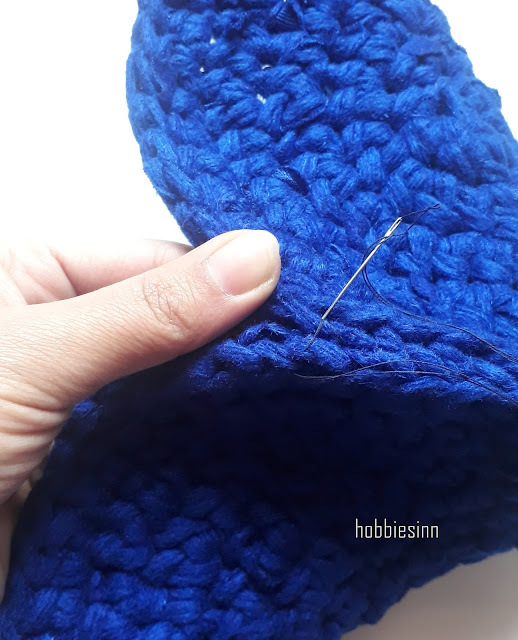 If your are new to crochet or don't know hoe to, follow my beginners guide to crocheting here or you can visit my YouTube channel to learn the basic stitches. I used a t-shirt yarn to make these circles and since it was quiet bulky my circles were made in a very short span of time. If you don't have a t-shirt yarn available around you, you can always recycle those old t-shirts into something useful. Watch needle pointers make yarn out of t-shirts. Follow this pattern to make the circles. Round 1. Chain 4. Join, Make a magic ring. You can increase or decrease the size of circles by adding or removing rounds accordingly, if the circle you made seem smaller for a bag add few more rounds. In each round (to keep the circle flat and nice) make an increment of 6 stitches. The size of the circles also depend upon the size of hook used, I used a large wooden hook with the diameter of 6 mm. I made this hook myself, tell me in the comment section below if you want to learn my trick of making a crochet hook yourself. Take a tapestry needle and a matching thread and begin hand sewing the two circles together. Why hand sewing? because it is too thick to come under the sewing machine. Leave a gap of some 6 - 7 inches from one side. On the ends of this gap add small leather loops to hold the string. Refer to picture below. On the inside of this gap, attach two buttons as a closure of the bag. Our circle bag is done, now over to leather flap and tassels. 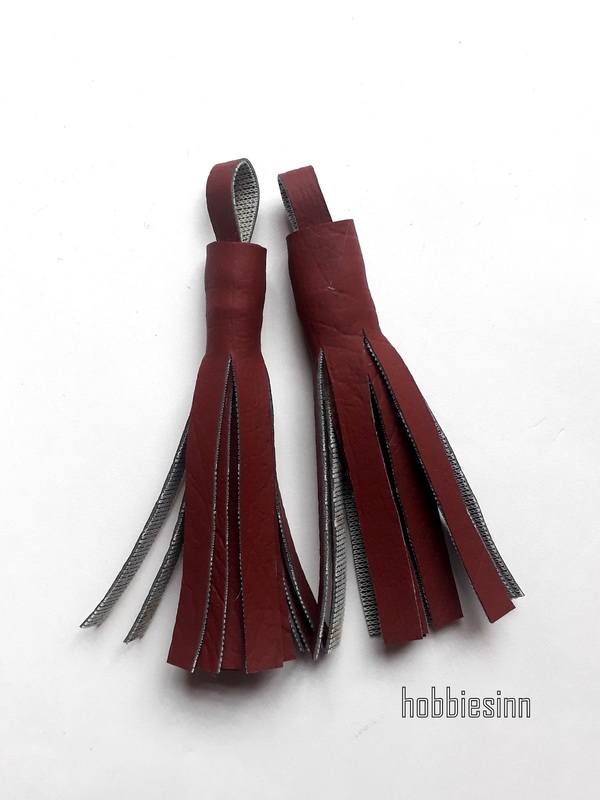 Making a tassel is very simple, check out my blog post about how to make a leather tassel yourself. 5. 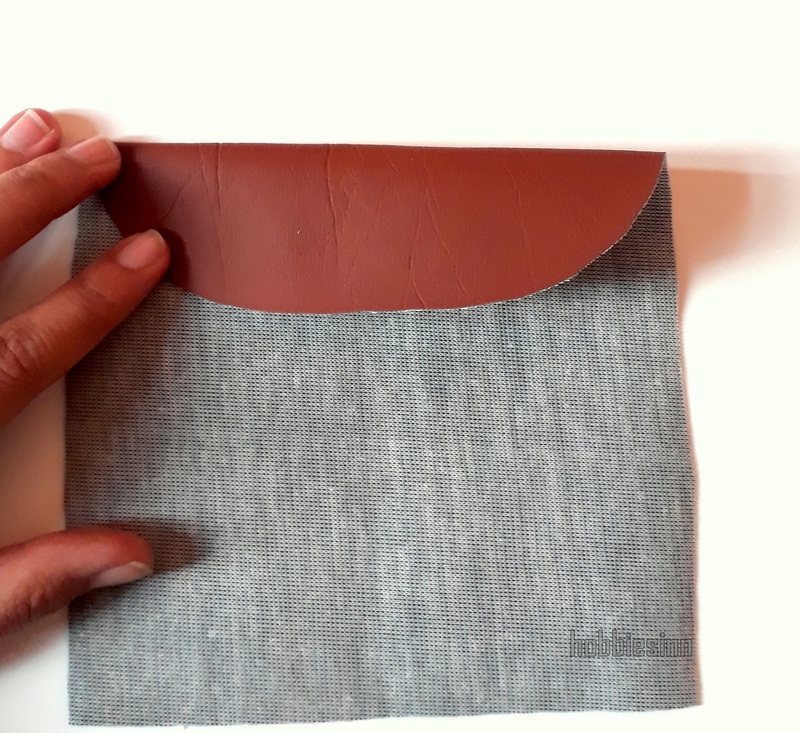 Making the leather flap. Fortunately I had a matching blue lining for the flap. Okay. Cut the leather in a U shape. Width 6 -7 inches, height 9 inches. About same size, cut the fabric lining. 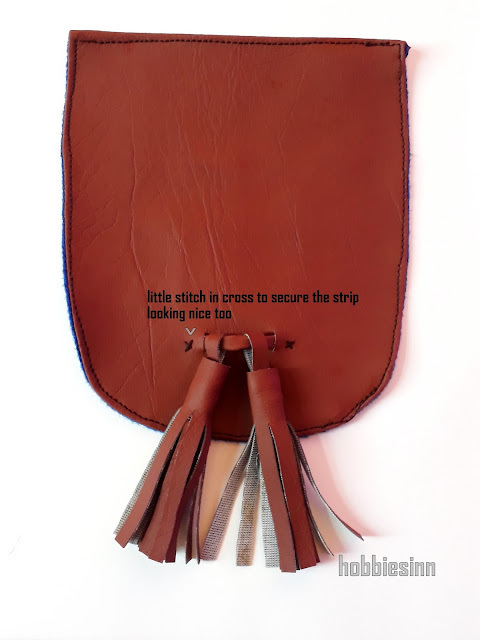 You will also need three small strips of leather, two are used in tassels and 1 to hold them. 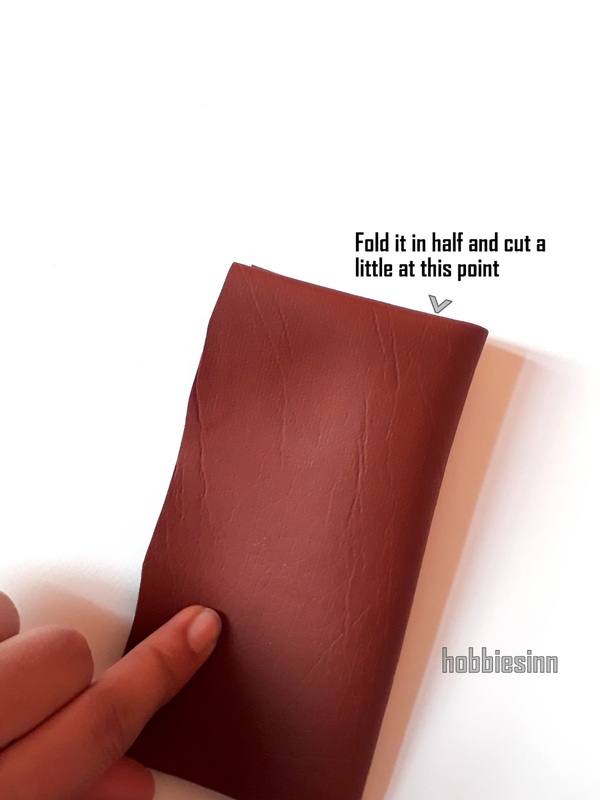 Fold the leather as in picture and make two small cuts in it as in picture. Roll the little strip of leather and fix it using the glue gun. 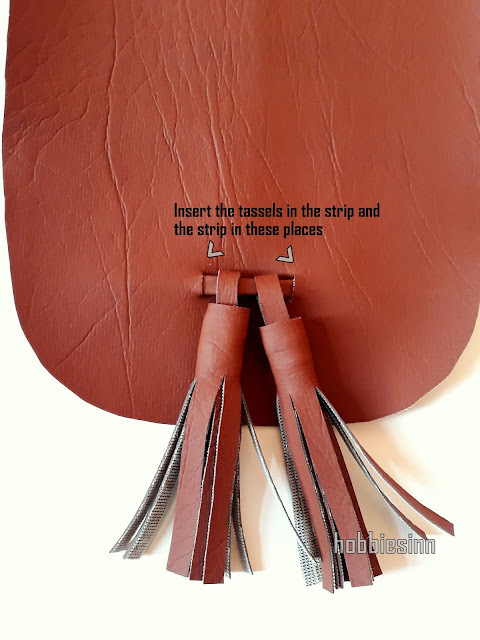 Put both the tassels in it and insert its ends in the cuts made in the flap. Secure with a cute cross like stitch. 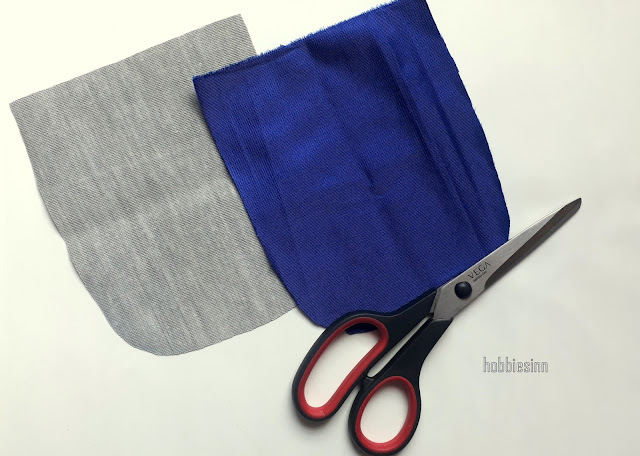 With the right sides of fabrics facing each other, stitch the two. Leave a gap of few inches from one side and turn it inside out. Now Stitch the border of flap once again to give it a finished look. 6. Attaching the flap with the circles. 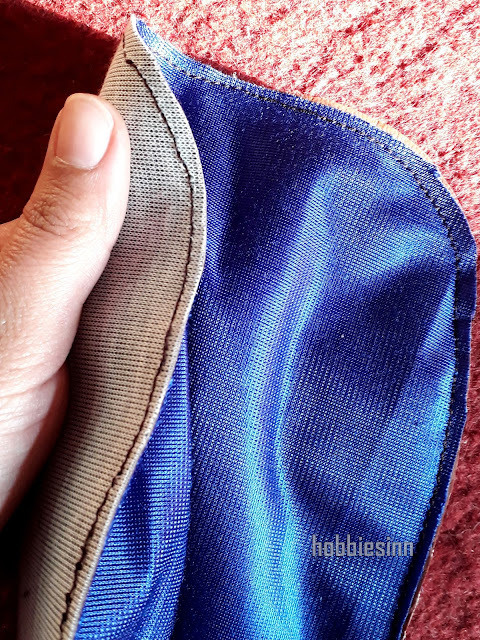 With the help of tapestry needle and a thread, stitch the straight end of the flap to the back of the circle. You can also add a magnetic button or Velcro strip to keep it more at one place. 7. Take a steel chain and put in loops of the bag, Put your things in and enjoy. My sister helped me with photographing this little DIY wonder and we took so many cute pictures of it. I hope you found this tutorial useful and insightful. 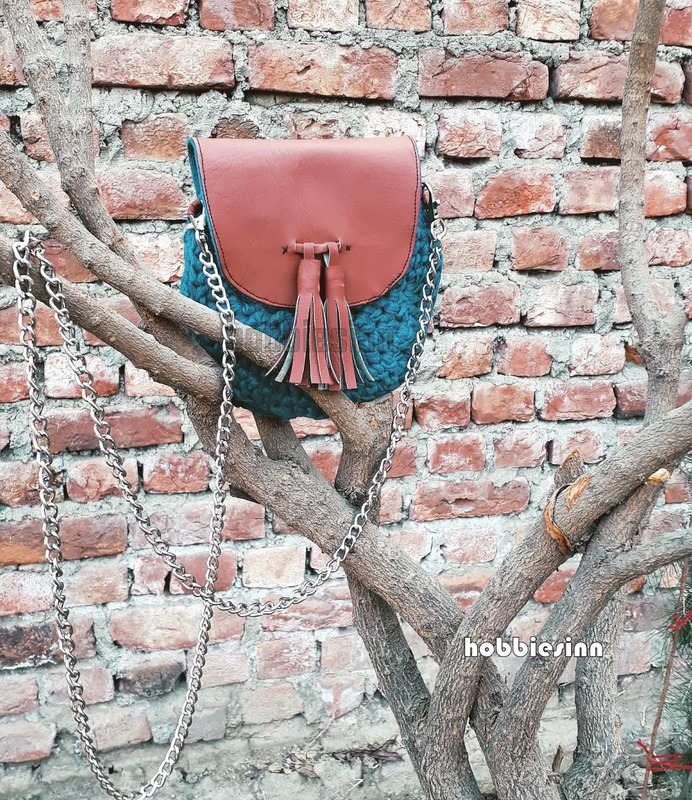 Make your bags too and share with us. Don't forget to pin it and share it. 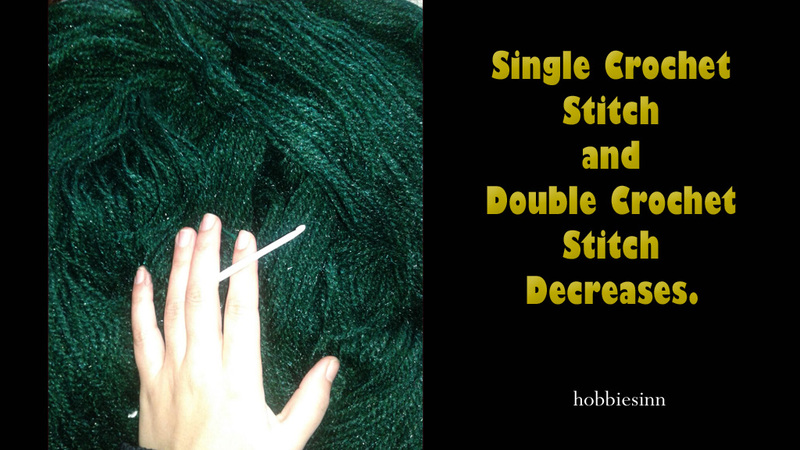 Single Crochet Stitch and Double Crochet Stitch Decreases. Decreasing crochet stitches is very easy and in this post i'm showing you how to decrease a single and a double crochet stitch decreases. Decreasing a stitch means making the stitch count less and hence reducing the area of crochet design. We will begin with the Double crochet Stitch Decreases. It is very easy and if you read my post carefully you will catch up everything easily and learn it in one go InshaAllah! 1. Wrap yarn around the hook. 2. Insert through the chain. 3. Pull yarn through the chain. 4. You will have 3 loops on the hook. 5. Pull yarn through two loops. 6. We will be left with two loops on the hook. 7. 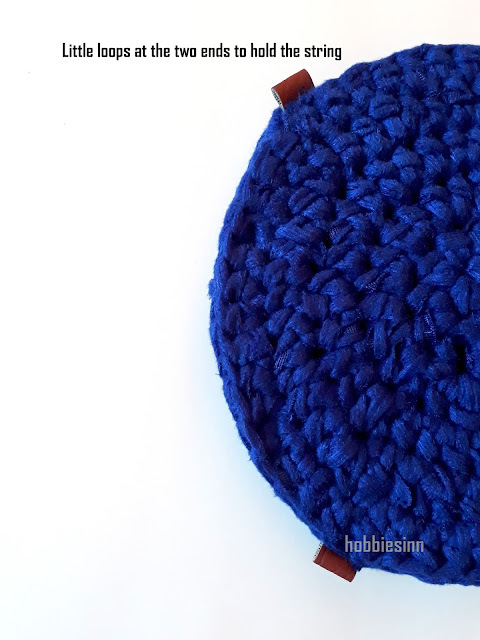 Wrap the yarn over the hook once again. 8. Insert the hook in the next chain stitch. 9. Pull yarn through it. 10. We will have 4 loops on the hook. 12. This will leave us with the three loops on the hook. 13. Pull yarn through all of these loops. 14. This will reduce two of our stitches to one and hence one double crochet stitch is decreased. The next is the Single crochet Stitch Decrease. 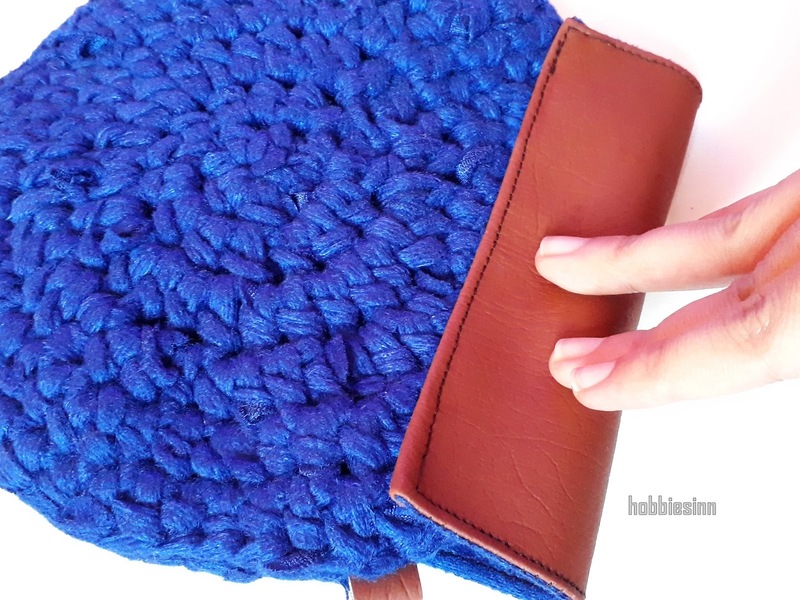 It is easier than the double crochet stitch decrease. 1. Insert the hook in the chain stitch. 2. Pull yarn through it. 3. We will have two loops on the hook. 4. Now insert hook in the next chain stitch. 5. Pull yarn through it too. 6. We will have three loops on the hook. 7. Pull yarn through all of them. 8. This completes our one single crochet decrease. 9. The two stitches are reduced to one. Hope this was helpful. 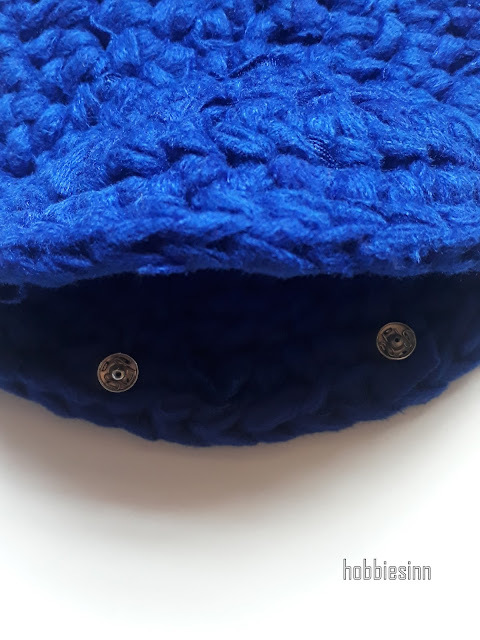 You can also visit our YouTube channel to watch the Single Crochet Stitch and Double Crochet Decreases video to get the clarity of the things. Also check our other videos and hit the subscribe button. Kashmiri Palak and Chicken Recipe. HI Guys! 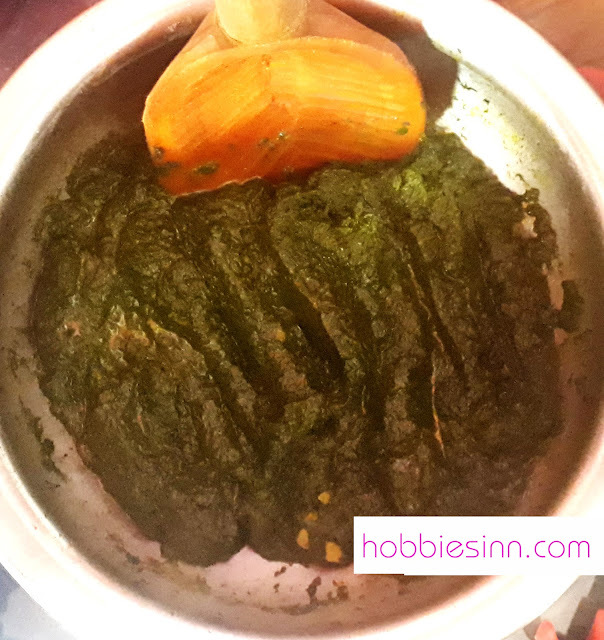 today i'm going to share how we Kashmiri's normally cook our Spinach and chicken meal. Its easy and yummy. if your recipe vary, you can share that in the comments below! Turmeric 2 - 3 teaspoons. We will cook chicken and spinach separately and mix them together in the end. 1. 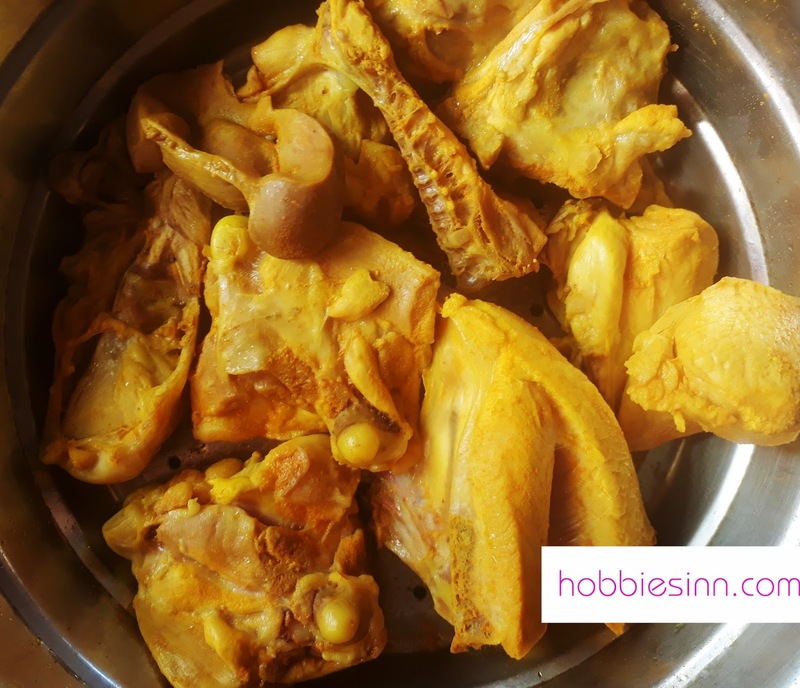 Put chicken in a bowl with water, little salt, 1 teaspoon turmeric and boil. As soon as it boils drain the water and let it sit in a strainer. 2. Clean the spinach and put it in a big utensil with water and a little salt. Boil till the volume is reduced. Strain the water. 3. Fry the spinach. In a pressure cooker put the fully strained spinach along with chopped garlic, oil and salt. 4. Beat the spinach when frying to make a paste using a wooden spoon. 5. When it starts to give off oil add other spices and mix thoroughly. Add a little water if need be. 6. In a separate utensil put the drained chicken, add oil, salt and chopped garlic. Fry for 15 to 20 minutes on a low flame. 7. Add spices and fry a little more. 8. Add enough water that covers the chicken pieces. 9. 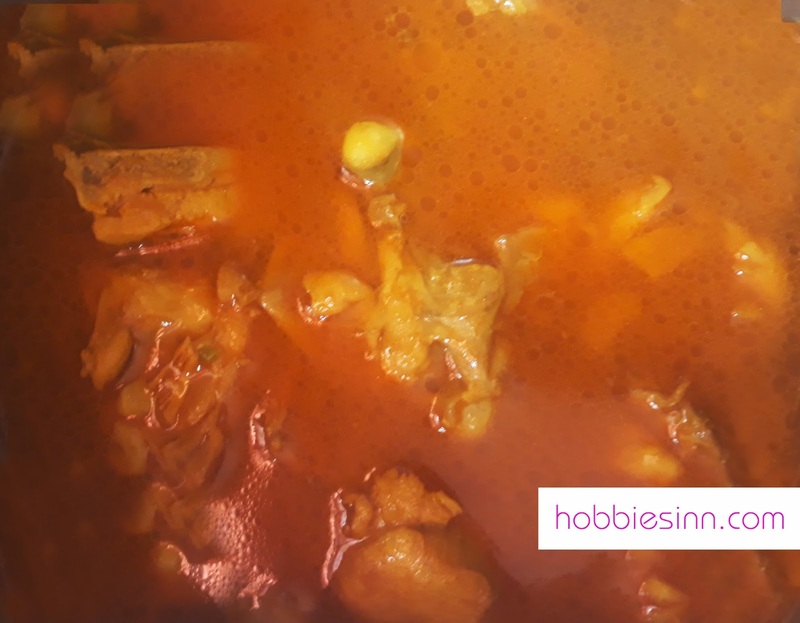 Let it boil and keep it boiling till the chicken is tender. 10. 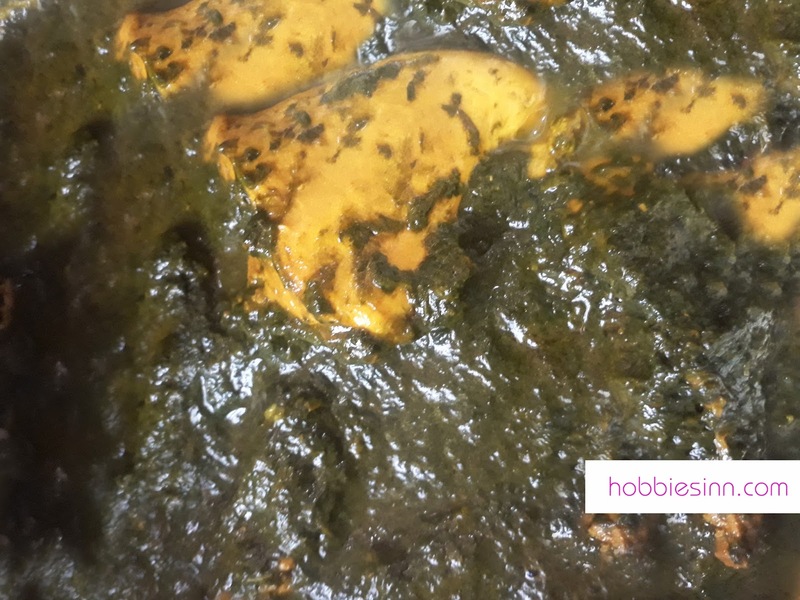 Add this chicken along with its soup to the spinach prepared. 11. Cook for 10 to 15 minutes. 12. Serve with naan or rice. Have you ever thought that why the heck am I studying Maths during school? Or have you ever thought why and where do I need such complex mathematics? Well, I have been crocheting since childhood but never thought about it and it only came about much to my surprise that there is a link between crocheting and mathematics! Yes folks, Its true! In fact all crochet patterns have underlying mathematical structures. The mathematics of crocheting. 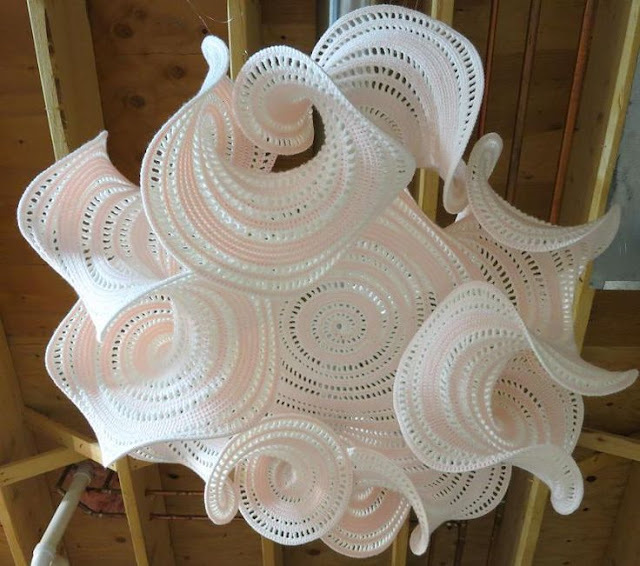 crochet is used to view 3D spaces that are otherwise difficult to understand or view 2 dimentionally. it is used to illustrate hyperbolic and fractal geometry! In ancient times, making baskets and weaving led to the mathematical discovery in these crafts as the crafts have repetitive patterns. 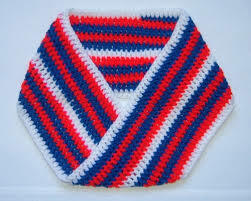 Mobius stripes in crocheting are nothing than Infinity scarfs! we have made them, used them all along our life but until now, had no idea about their mathematical perspective. In mathematics, a mobius stripe can be defined as a surface with one continuous side formed by twisting the other side at 180 degrees! (Dont get confused, they mean Infinity scarves). Did you know, Alan Turing, a well known computer scientist, would often knit mobius stripes and other geometric shapes during lunch break! Hyperbolic plane is a surface that is always expanding! the space expands and curves away from itself. It is open and infinite and has a very complex geometry. 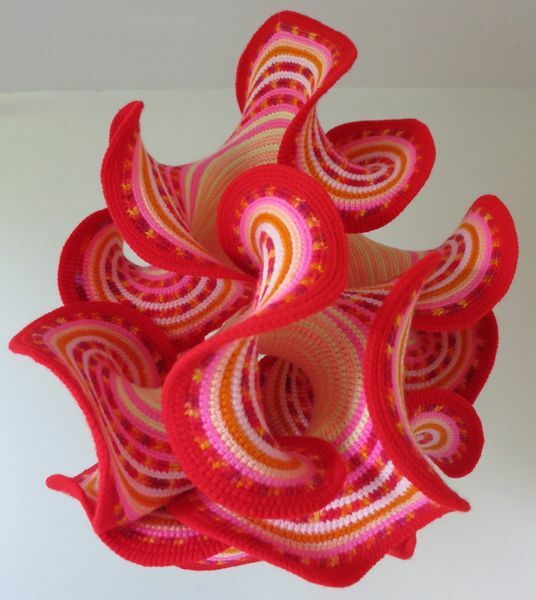 For a crocheter though, creating a hyperbolic pattern is very easy. Just keep on increasing those stitches, like you do in ruffles. The above piece is just a flat circle that has number of stitches increased in each round so it looks like a giant round ruffle. As a matter of fact, mathematicians for hundreds of years believed that anything as such was impossible until they accepted that in form of geometry. Because of its complexity, they thought it was not possible to materialize it. However, in 1997 Dr. Daina Taimina, surprised them all with its simplicity through crocheting! Hyperbolic growth in nature gives rise to the ruffled shapes of coral, kelp, and sea anemone. 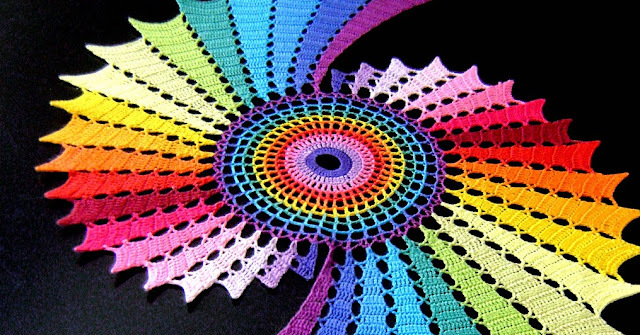 The Institute for Figuring created the concept of the Coral Reef with hyperbolic crochet and have been developing this concept since 2005. Mathematical scientist Edward Lorenz, first studied a system of ordinary differential equations, they are notable for having chaotic solutions for certain parameter values and initial conditions! 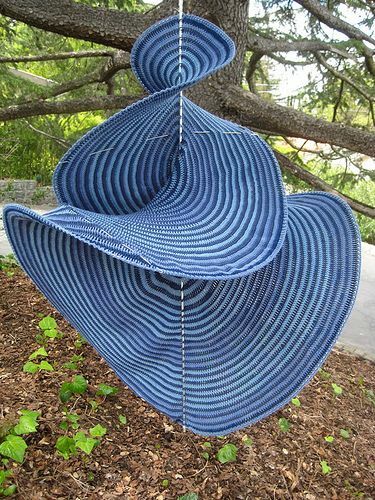 Dr. Hinke Osinga(Engineering Mathematics) and professor Bernd Krauskopf have turned the lorenz equation in a real life objects by crocheting computer generated instructions of lorenz manifold! The overall shape of the surface is created by little local changes: adding or removing points at each step. Dr Osinga has been able to crochet since she was seven years old , so she noticed that this is exactly the same way that crochet instructions work – by specifying a “surface” (more usually a poncho or baby’s blanket!) in rows, with the number of stitches increasing or decreasing. 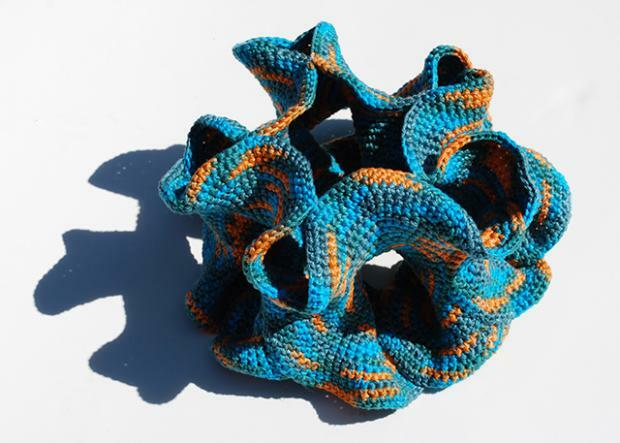 From there it was a simple step to turn the algorithm into a crochet pattern, and to start to create a real-life Lorenz manifold. Fractal geometry is a field of maths born in 1970's and is developed by Mathematician Benoit Mandelbrot. Fractal geometry is all about shapes. Fractal is a geometric pattern that is repeated at small or large scale to produce self similar and irreglar shapes and surfaces that are impossible to create in classic geometry. Fractals are irreglar patterns found in nature that are modeled using computers and fractal geometry. In crochet as you can see, we make certain small unit of a pattern and repeat it over and over again to make the end product that looks like it is made up of smaller sub units. 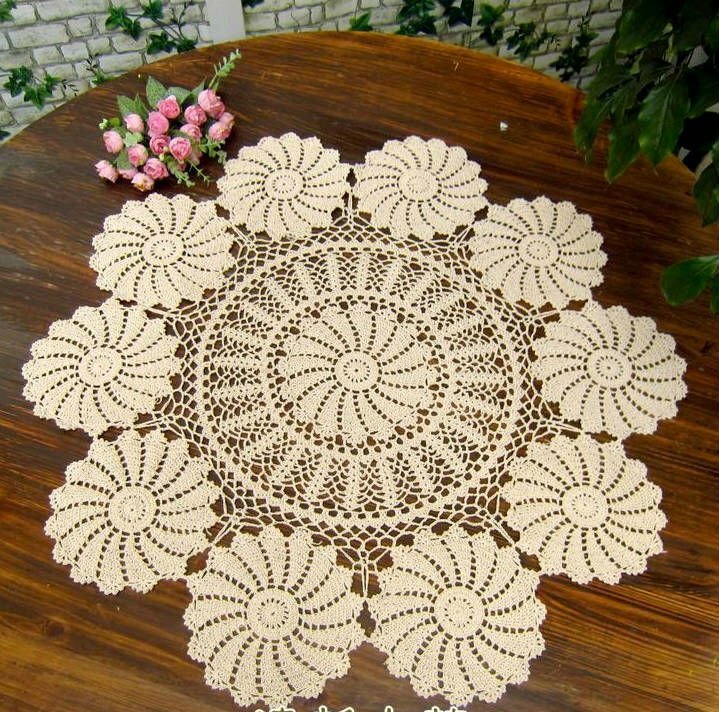 The basic examples are that of doilies, blankets etc. I hope you found this information as insightful and fascinating as I did. 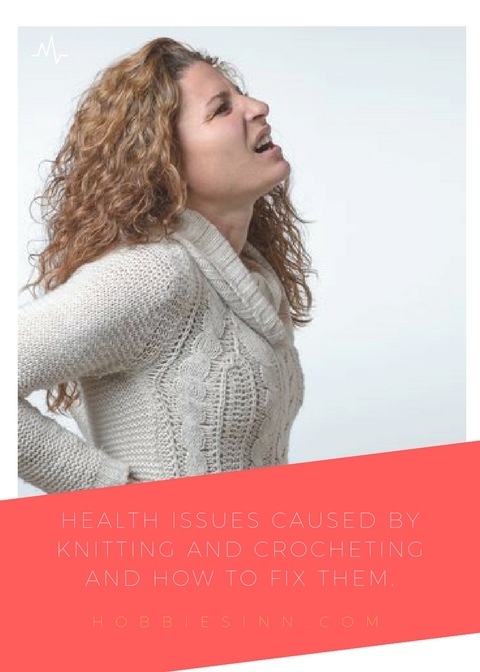 I never knew there is so much to crocheting as this. 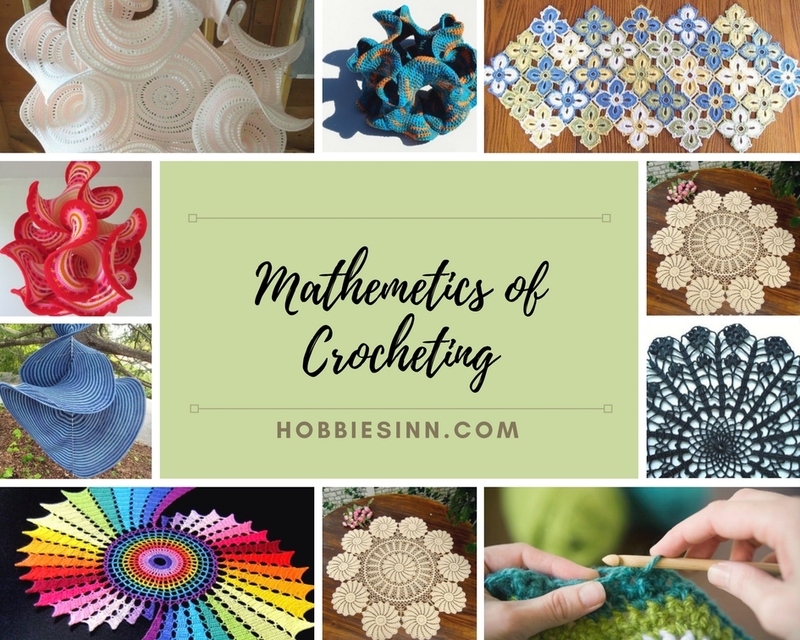 If you are a crocheter like me, it is a plus point to know more about the science behind the crochet and crochet behind the maths! Don't keep it to yourself only, Keep pinning, keep sharing! Hi Guys! 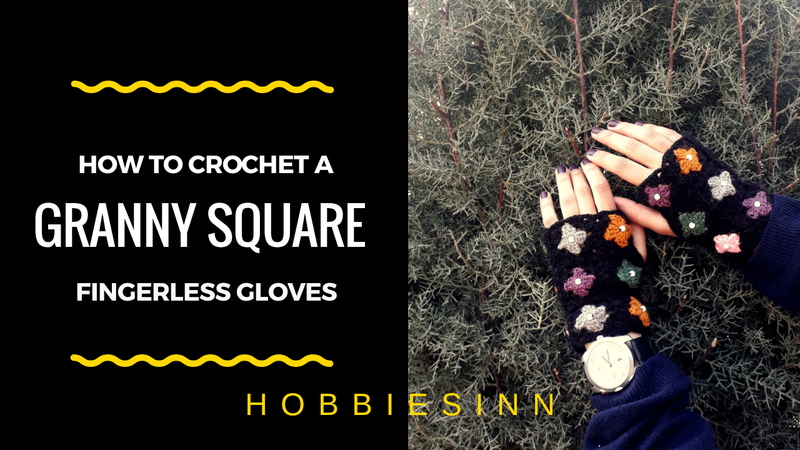 In this post we will talk about my new YouTubeGranny Square Gloves. I have already uploaded the video, you can watch it there as well. I had a lot of scrap yarn, and probably have some still, I decided to put some of it to a good use! And this pattern came to my mind. I searched for some granny square patterned gloves on Pinterest but didn’t find much similar products. I used cotton yarn and a size II aluminum hook. You can use your choice of yarn and hooks as well. Let’s begin the pattern, if you are new to crocheting you can learn the basics to crocheting here. 2. Join to make a magic ring. 4. Double crochet 2 times in this magic ring. 5. You will have 3 stitches. The first chin 3 will be considered as one stitch. 7. 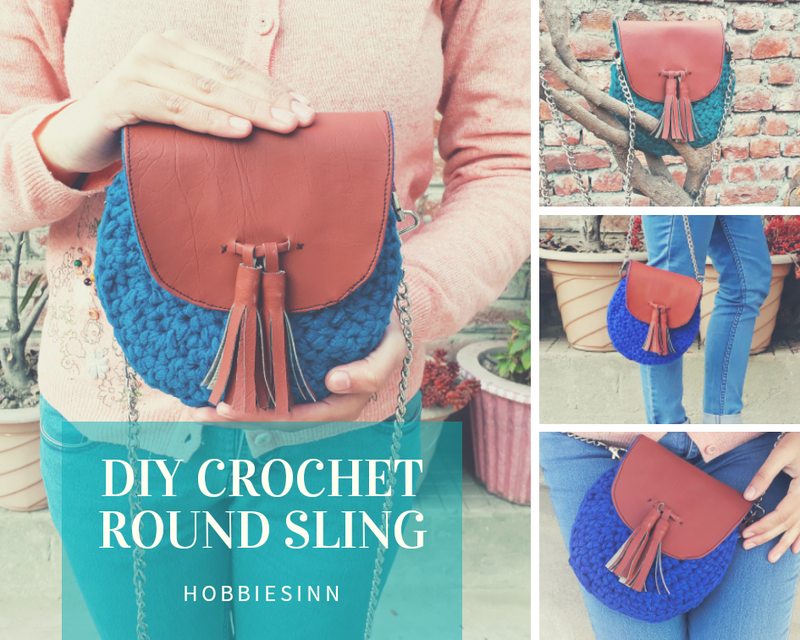 Make a set of 3 double crochet stitches in the magic ring the second time. 8. You will have 1 set of double crochet stitches, followed by a hole and then the second set of double crochet stitches. 9. Chain 3 once again. 10. Make a 3rd set of double crochet stitches. 12. Make the 4th set of Double crochet stitches. 13. Chain 3 and join with the beginning of the round. 14. 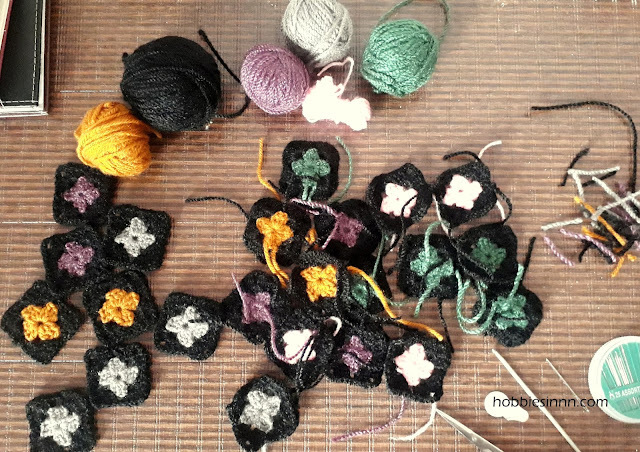 The sets of double crochet stitches make the sides of the granny square where as the chains of threes makes the holes that represent the corners of the square. 15. Trim the yarn and weave in the yarn tail. 2. Now work the double crochet stitches in the next hole. 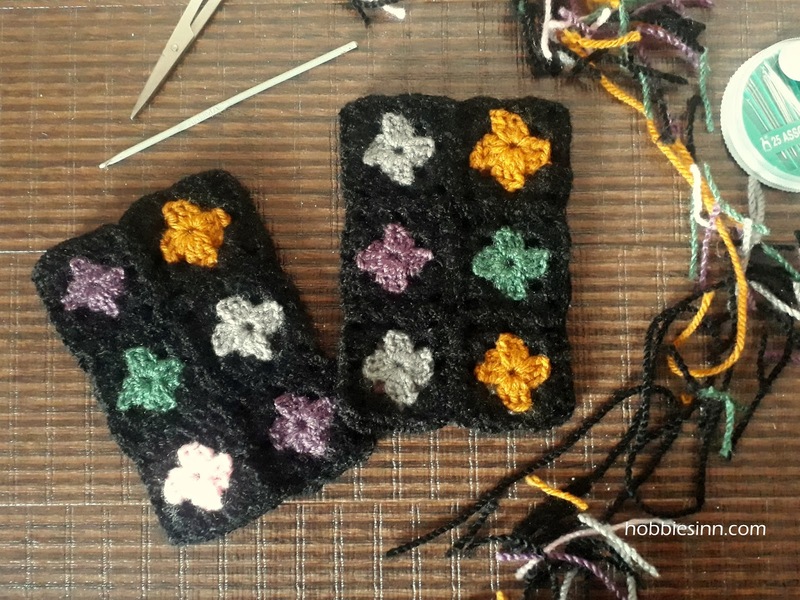 Make a set of 3 stitches. Followed by a chain of three and a 2nd set of double crochet stitches. 4. That is the first corner worked out. 5. Now work in the second corner/hole. Again make 3 double crochet stitches, chain 3, 3 double crochet stiches. 7. The third hole is worked in the same manner. 8. However, in the last hole, we make a set of 3 double crochet stitches, chain 3, next we make only 2 double crochet stitches, and the third one is the initial chain that we called A, Join it with this chain at the 3rd stitch. 9. Trim the excess yarn and weave off the yarn tail. 1. We will be using 24 granny squares for both the hands together, i.e. 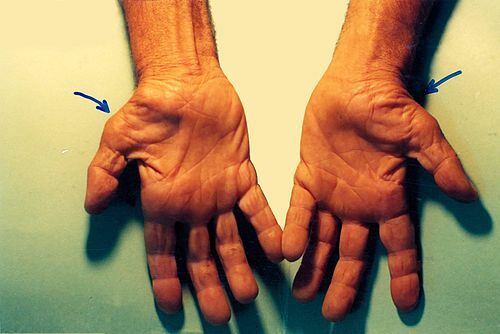 12 for each hand. 2. Join the granny squares using yarn and yarn needle and stitch them together. 3. Make a matrix of 3x4 squares, i.e. 3 rows and 4 columns. 4. Fold in half, stitch along but leave a gap for the thumb. 5. Weave off the yarn tail. 6. Decorate with pearl beads. I love how this pattern worked out and how perfect the centers look like. I’m glad that all the scrap yarn was put to some use and the end result was cheery. The flowery look is giving me quite a positive vibe. 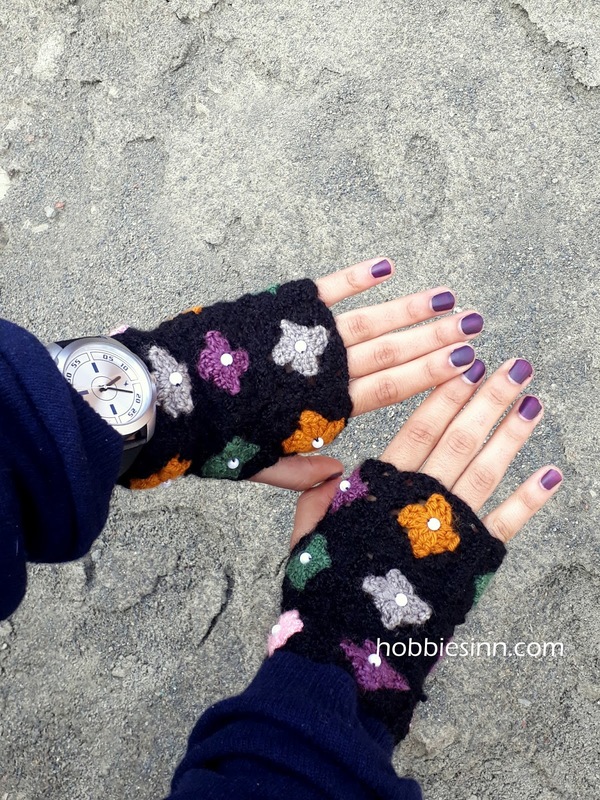 Note: This pattern is original pattern by Hobbiesinn. Please do not claim this pattern as yours. 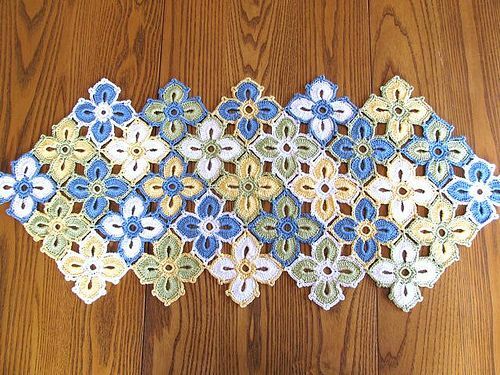 If you wish to share it, you may link to this pattern but please do not copy on your site. You can use it for personal use but DO NOT sell the pattern or distribute it. This tops our list. We cannot go a day without it. It is a tea specifically made in Kashmir. It is also called as Pink Tea. Noon chai or Nun chai takes a very long to prepare and is a most favorite beverage of the valley. It freshens up anyone who takes it. We prefer it in mornings and evenings and if possible at night too. We need it to function properly! 2. Kangri Josh and Pheran. 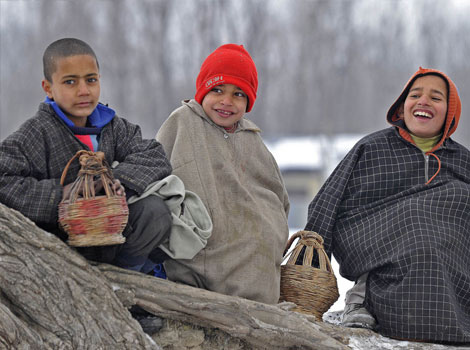 Well the most innovative method to keep warm for 8 months of cold, kashmiri's have devised centuries ago the very stuff that are ultimate to fight the biting cold in the valley. A Kanger is a firepot in which coal is kindled to give warmth and a Pheran is a loose cloak worn by everyone. The duo gets along very well. Snow. Like every one around the world, we too get eccentric at the sight of snow. Sheen mohnev(snow man) and sheen Jung ( snow fight) and sheen Kulfi (snow icecream) are must haves. Got to have it once in a while. A big Meat feast. A treat for every thing. Whether you pass a class, visit relatives after a some time or any occasion, wazwan saal is must! No wazwan means you are not happy enough. And if happen to be a vegan, (which is rarest of the rare case) there is some problem with you! 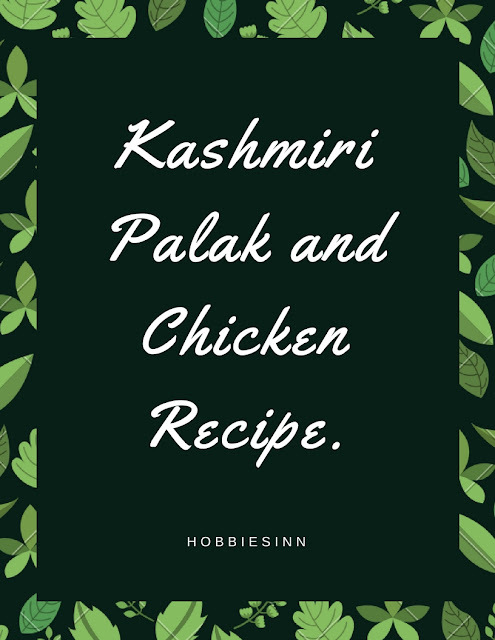 Another most loved delicacy of Kashmir. I just realized we are soo food obsessed that most of the things that bring us joy are Foods, non -veg foods(In kgs). 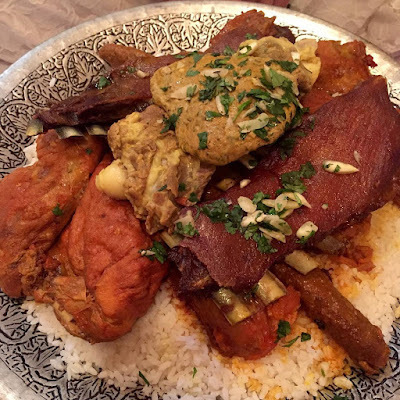 Harisa is yet another delicious mutton meal. It is mainly had in winter. What brings you joy? What are the special things of your country? Comment below and share with us, Hobbiesinn would love to hear from you. P.S. None of the above pictures are mine. 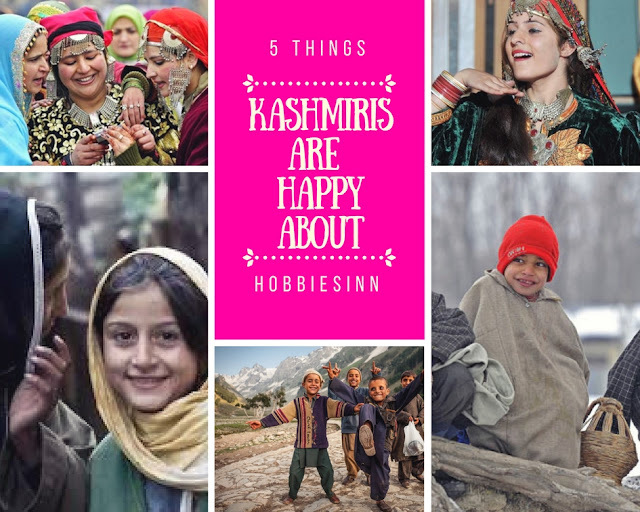 I googled them and while i was searching for the perfect pictures of happy kashmiris, i did not find many! All I saw were sad and grieving people. The reality hit me hard and made me think. What an irony! I was lost in the long history of turmoil of my homeland. How we try to find joy in small things when our hearts are breaking! I hope we are free of misiries very soon.